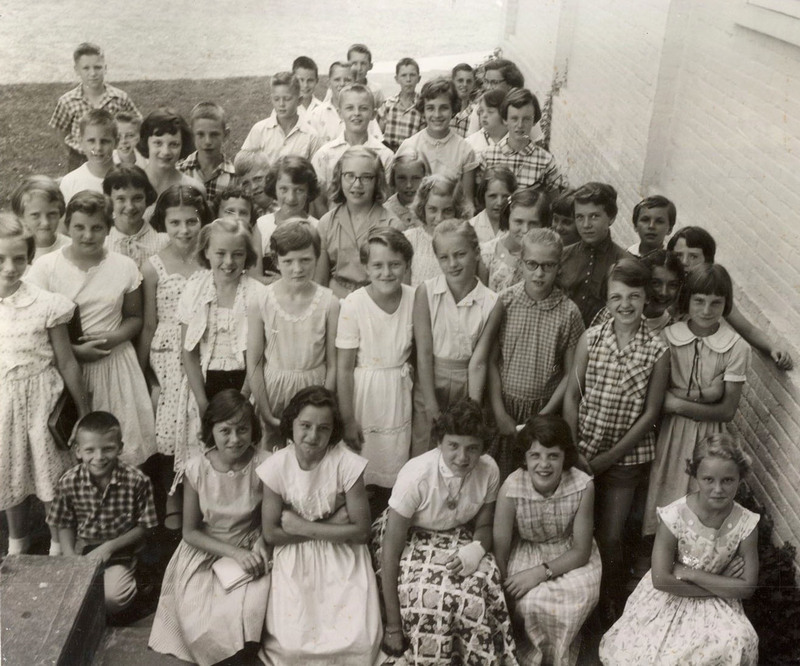 One hundred fifty years ago, on June 10, 1853, Berryville was a small village. A few Presbyterians met in the Methodist Church with a commission of the Winchester Presbytery to organize the Berryville Presbyterian Church. Mrs. Harriet Milton had urged the few Presbyterians here to ask Presbytery to organize a church. They had been climbing into their buggies and driving their horses all the way to Winchester, Bullskin (near Summit point), or to Smithfield. Dr. James Graham, Pastor of the Kent Street Church in Winchester, preached the sermon. With him were the Rev. W. B. Dutton from the Charlestown Presbyterian Church and Elder John Bell from the Kent Street Church, which later merged with the Winchester Presbyterian Church. General Stonewall Jackson, in 1861, joined the Kent Street Church and became a close friend of Dr. Graham. Officers elected that day were Elders Lewis F. Glass and John W. Luke and the deacon was J. M. Lupton. The next morning, Saturday, June 11, 1853, the following were received into membership: Lewis F. Glass, Mary Glass, J. M. Lupton, E. Lupton, Harriet Milton, Caroline Maddox, Betsy Thompson, Matilda Bradfield, Susan Smith, John W. Luke, and Elizabeth David. Seven of the eleven members were said to have been members of the Kent Street Church. By July 27, 1854, the new church building had been built and was dedicated at what was then the outskirts of Berryville. It had no tower but had a vestibule inside the front door with two doors leading into the two aisles of the sanctuary. The pews were white with cherry ends. The pulpit was elevated with a session room to the right. There also was a gallery. On July 28, the Rev. 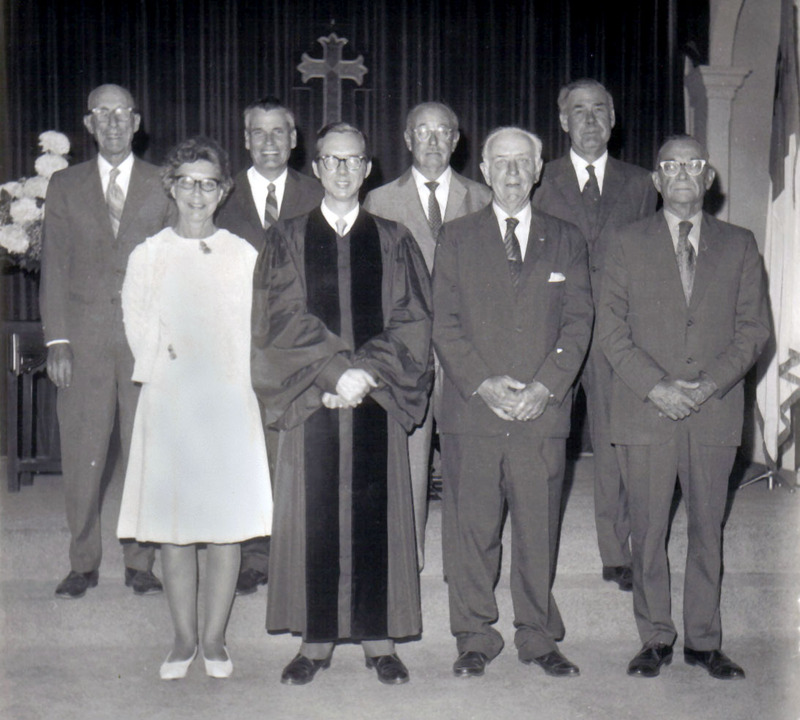 Charles White was ordained and installed as pastor. Serving 22 years, until 1875, his was the longest pastorate of the church. During this time, the membership grew to 85. Franklin Pierce was President of the United States from 1853 to 1857. Growing signs of unrest over the issue of slavery were manifested in Kansas, which was a battleground for rival factions. Neither Pierce or James Buchanan, his successor, confronted the issue and in 1859, John Brown raided Harper's Ferry. By 1861, when Abraham Lincoln was inaugurated, seven states had already seceded from the Union. After the South fired on Ft. Sumter, the war began. In 1864, there was a skirmish called "The Battle of Cool Spring". General Jubal Early was pushed west through Berryville to Grindstone Hill, about where Cooley School is today. Apparently, a cannonball was fired by Early's men, which struck the Berryville Presbyterian Church on the northwest corner, just above the first window. At that time, the church was painted white and, according to Elder Tom Jones whose father, grandfather, and great-grandfather were all elders, someone painted a black circle over the window after the damage was repaired. One of the stained glass windows on the west side of the sanctuary is in memory of great-grandfather, Thomas Jones, who was ordained in 1874. In 1861, the Presbyterian Church split over the issue of slavery into the Presbyterian Church in USA (PCUSA) and the Presbyterian Church in the Confederate States of America (PCCSA). One of the first things the PCCSA did was to adopt a platform for foreign missions and soon dispatched missionaries to China. 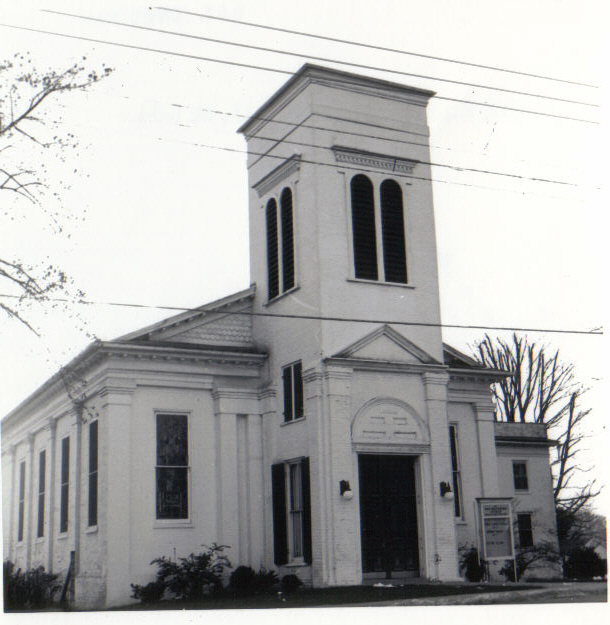 From 1875 to 1898, five ministers served the Berryville Presbyterian Church. The railroad came to Berryville in 1880. The little village became a town. A new subdivision was developed and the streets were extended. As the town grew, so did the church and 177 members were received between 1875-1900. In 1886, Stone's Chapel was organized with 15 members, 11 of whom were from Berryville Presbyterian Church. The name comes from the owner of the land, Jacob Stein (later anglicized to Stone). The original building was wood. In 1848, the present building was erected, after the Lutherans, who shared the building, erected a church in Middleway. Since the Civil War, the church shared a pastor with Berryville Presbyterian Church until 2000. To read more of our history, download the complete article here. Monday - Friday: 10 a.m. - 2 p.m.